Act and Being draws out some of these insights and refines them in a helpful way. Bonhoeffer’s focus in this volume is to show how the major German thinkers including Kant, Hegel, Husserl, and Heidegger all commit the same basic philosophical mistake: they all reduce reality to the epistemological quest of the I to ground its own (self-) knowledge, a quest which entraps the I within its own consciousness. They thus fall prey to the basic structural deficiency of sin in which the human being becomes curved inward on itself. Bonhoeffer by contrast develops an account, as suggested above, in which God’s revelatory entry into the human person suspends her being in that act. Importantly, however, he also gives kudos to both the Kantian and Hegelian strains of philosophy for certain correct insights. Kant, Bonhoeffer says, was the “Protestant epistemologist par excellence,” in that he sought to delimit the person and especially her reason through the alterity of the Ought. On the other hand, Hegel accurately recognized that the person can only exist as a mediated relation to God which has a true historical context. The only One who can fit both bills is of course Christ; in Him, God both sustains (ontologically mediates in history) and defines (epistemologically delimits, granting a self) the human person. What Bonhoeffer provides here is perhaps a way past a stalemate in ethics today between Kant and Hegel. For those theologians and philosophers who follow Kant, ethics becomes simply a matter of self-legislation (that is, self-delimitation on the basis of the Ought [Moralität] that constrains based on whether an action could apply to all). The chief value in this schema of course becomes the ability to self­-legislate, that is, autonomy. The individual is severed from other persons as the basis of ethical actions. Simultaneously, this emphasis pretends to a universal reason that demands commonality among all peoples and ignores historical development of various cultures and practices. Many, finding this paradigm unacceptable, turn to Hegel for a more historically- and communally-grounded approach. However, here they discover a dual problem: first, Hegel’s communities are all conflicted aspects of a monistic principle driving toward unity. Therefore, he also has a universalizing tendency that can become violent (rather not the point in ethics). Second, Hegel’s approach is grounded in nothing more than the ethos [Sittlichkeit] of the culture of the time. There is nothing transcendent that can offer a corrective to the dominant opinion. 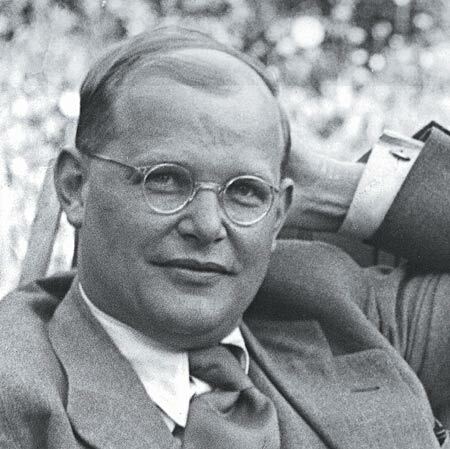 With his emphasis on God’s sustenance of the world especially in Christ, Bonhoeffer can counteract both problems. He can provide a delimitation and a communal history that are both rooted in something beyond the limited perspectives of individuals or the present times but in a way that works from within the tradition of secular discourse itself. In a different direction, Act and Being also offers a potential, though difficult, point of connection with Catholic theology. At one point in the text, Bonhoeffer engages Erich Przywara’s version of the analogia entis as moving in the direction of the relational paradigm (analogia relationis) he is advocating. He also quotes Aquinas’ statement in the Summa Contra Gentiles that “doing follows upon being” [agere sequitur esse] as the “ontological, fundamental thesis of Catholic and orthodox Protestant dogmatics.” While Bonhoeffer probably overreads both Pryzwara and his representativeness for the Thomistic tradition, I think there is something here. In twentieth century Catholic theology, few questions are as important as that of what God’s “ordering of being”-that is, the natural law-actually is. A number of Catholic scholars have begun to emphasize the shift marked by Aquinas and his immediate interlocutors from a Stoic emphasis on a kind of “map” of uniform reality (the Logos) to natural law as a kind of dynamism in the human person. In the Summa Theologiae, I-II q.91, Aquinas explicates this dynamism as a kind of participation in God’s “eternal law,” that is, the unfolding providential plan that embraces and orders from the beginning all contingencies of human existence. The emphasis on contingency is important; this sort of natural law definition has led these scholars to develop a more “underdetermined” notion of nature. In my opinion, this definition could open toward the usual Protestant emphasis on the normativity of God’s ongoing historical command. It thus allows for a concept of nature with which we can be more satisfied yet which is also more robust than some of what we have used in the past. Particularly, I think a close examination of St. Thomas yields the important insight that he really does take sin seriously as blotting out the right operation of this natural dynamism (which includes reason, etc.). He does not endorse much of the later Catholic optimism that leaves a lot of room for reason to accomplish ordering in the world. What he emphasizes however is that our sin still is not greater than God’s power of sustenance. I think this point is one we must work to retain. If our very being is upheld from God’s side of the equation, then we need to find a way to speak about this ontological reality in anthropological terms, without collapsing it into the ontic reality of our sin as we experience our own consciousness. AB, 33, 39, 62. Not incidentally, Levinas also attacks these same thinkers and in much the same way. AB, 41,46. This is the ratio in se ipsam incurva or more generally, the cor curvum in se inherited from Luther, and Augustine before him. AB, 45. The close of AB, pp. 157-61, has a beautiful description of how the child in baptism is the model of this ontological-epistemological reality. Particularly, though they are often at odds on other matters, Jean Porter in Nature as Reason and Natural and Divine Law and Martin Rhonheimer in The Perspective of the Acting Person. The philosophy and theology of John Paul II also enters into this discussion in a vital way. If we cannot, we risk falling into the Flacian error of equating our nature with sin itself. Cf. FC I.